Will Anne Hathaway Play Mary Poppins In Disney's New Live Action Musical? Generally speaking, I'm kind of against remakes. I feel like there's so much original talent out there that to recycle something that's already been done is lazy and also unfair to the creators out there who have fewer chances of getting their work seen. Plus, I'm pretty sick of seeing remakes, spinoffs, and other unnecessary updates to old classics when I could be watching something new and unique. That being said, I'm a bit torn when it comes to Disney's upcoming live-action Mary Poppins remake. On the one hand, Mary Poppins is a classic story, and the chance to bring it to a new generation is indeed tempting. On the other hand, no one will ever match the greatness of Julie Andrews in the role, so I sorta feel like we shouldn't go there. However, we are going there, and word on the street is that Anne Hathaway is the top pick to play Mary Poppins. 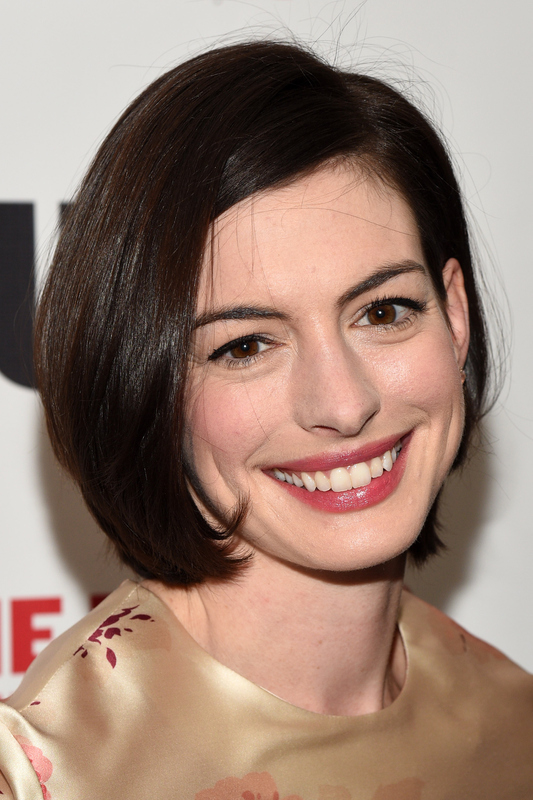 According to sports betting site Boylesports, Anne Hathaway is the top pick to take on the role with odds of 6/4. Just behind her are Emily Blunt (5/2) and Amy Adams (7/2). A few other names have been thrown around, as well, from Anna Kendrick and Kristen Bell to Lea Michele and Isla Fisher. However, Hathaway seems the runaway pick for the part at this point. Whether or not that will come to fruition or not, however, remains to be seen, since Disney has only just confirmed that the remake is a go and likely hasn't begun the casting process. Into the Woods director Rob Marshall and producers John DeLuca and Marc Platt will be helming the new Mary Poppins, which will be set in Depression-era London, which is roughly two decades after the original film. While the original movie pulled from author P.L. Travers' first book in the Mary Poppins series, the updated version is said to be exploring more of the nanny's adventures in Travers' other seven novels, which definitely a bit of a comfort. Adding Hathaway into that world could make perfect sense, and I wouldn't be surprised if the rumors about her ties to the project end up being true. Hathaway is not only the perfect age for the part of Mary Poppins, but she also has the ability to pull off the character's no nonsense attitude as well as her levity and joie de vivre simultaneously. I wouldn't go so far as to claim that Hathaway is our generation's Julie Andrews, but I would say that she's a very good representation of her generation of actresses and, as classic stories go, she makes perfect sense to be brought into the Disney fold. After all, she's all too familiar with the world of fairy tales (of sorts), having appeared in the likes of The Princess Diaries and Alice In Wonderland, to name a few. Very few details are known about Disney's intentions with the new Mary Poppins, but one thing's for sure: I wouldn't be mad at Anne Hathaway taking on the role, and in fact, I think I'd really like it.